Summarize why you should use a Child Themes. 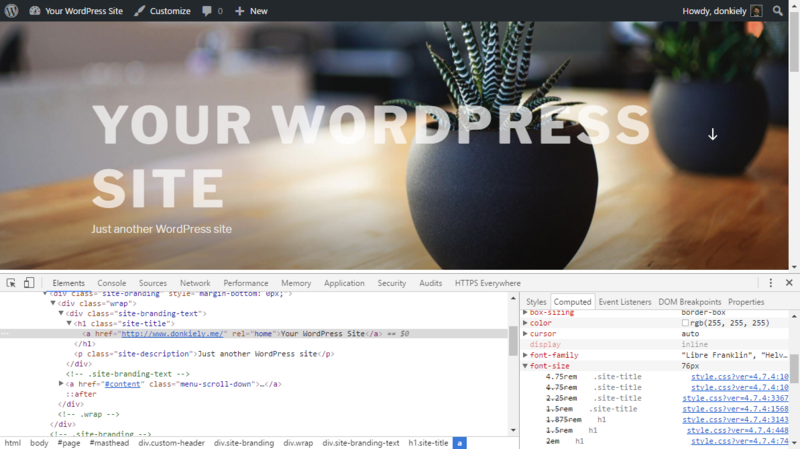 One of the first things front-end designers want to do is modify the design of an existing WordPress theme. After a little investigation, they discover where the theme files live, then directly edit the files. After the next theme update, they are horrified to discover that the update completely erased all of their modifications. Many designers have learned this lesson the hard way. 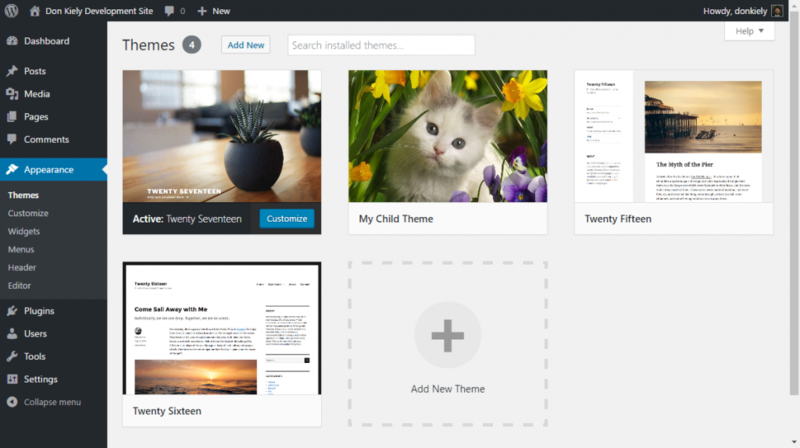 Create a Child Theme that is a “child” of another theme (the Parent Theme). 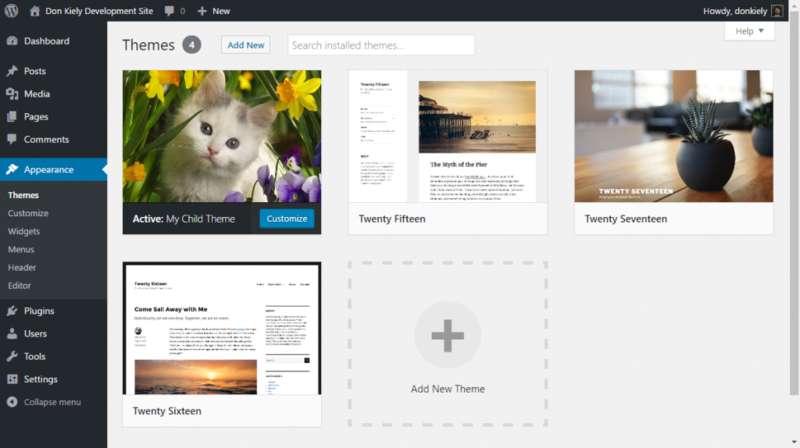 You are going to create a Child Theme of the default WordPress theme Twenty Seventeen. We’ll name this Child Theme “MyChildTheme“. At a minimum, your Child Theme needs a style.css file. The style.css file tells WordPress to load the Parent Theme’s files after the Child. Place this file inside the Child Theme’s folder. Make sure it is in the root level of the Child Theme folder and not inside a subfolder. Your Child Theme needs to call the style.css files using a method called “enqueueing scripts.” To add the calls for the parent and child theme stylesheets to your child theme, first you need to create a functions.php file. 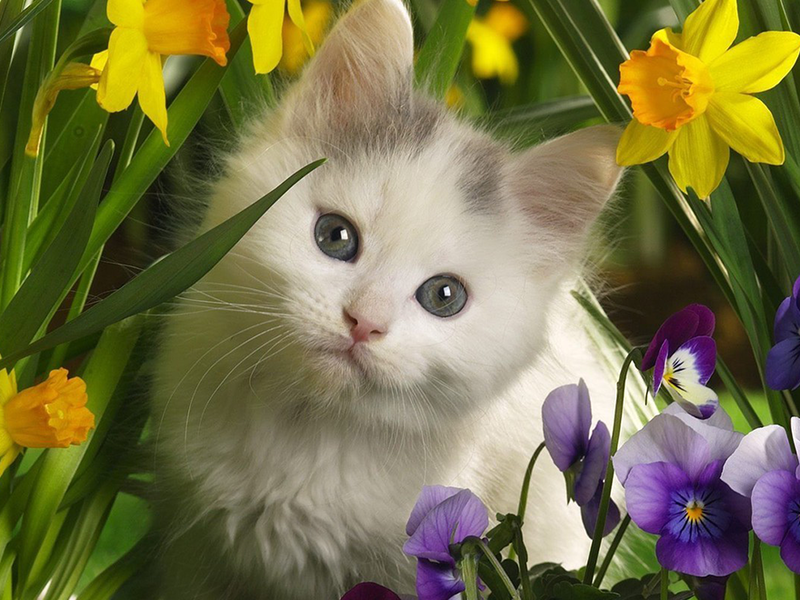 Place this file inside the Child Theme’s folder. Make sure it is in the root level of the Child Theme folder and not inside a subfolder. Warning: The old way of enqueuing scripts and styles was to use @import url("../parentfolder/style.css");, and you’ll still see old articles online that show that technique. But this is very inefficient, so a better way is to use the wp_enqueue_style() method covered here. 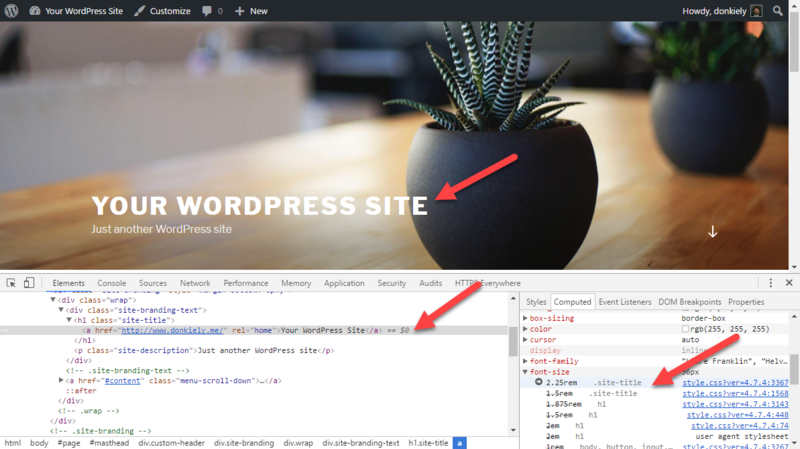 Make sure the Child Theme folder containing at least style.css is uploaded or pushed to /wp-content/themes on the webserver, or your computer if you are working on a local WordPress install. style.css in MyChildTheme overrides elements and adds to style.css in Twenty Seventeen, while screenshot.png completely replaces the copy of screenshot.png in Twenty Seventeen. 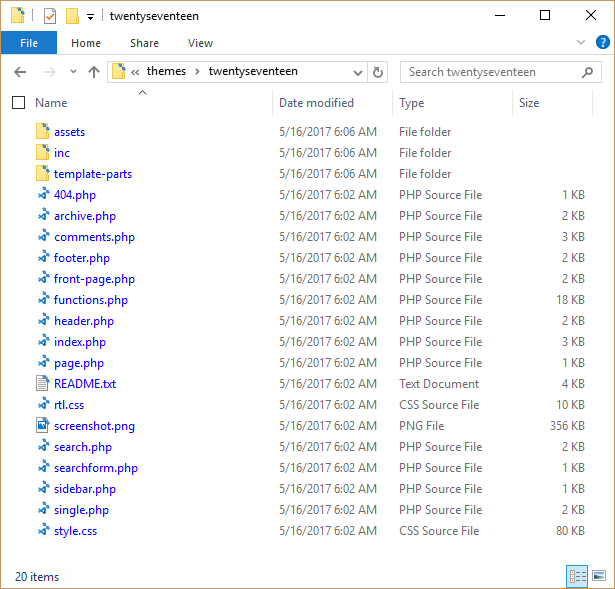 Inside the twentyseventeen folder are all of Twenty Seventeen’s template files. You can create your own versions of these files in your Child Theme. 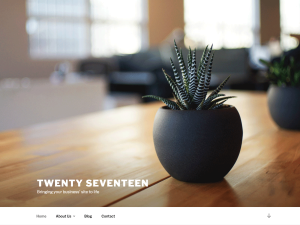 Open footer.php in the twentyseventeen folder. You can see the following line of code that needs to be edited. This statement pulls in a template with the “Proudly powered by WordPress” message. You’ll no longer need to use that template file, so this is the statement you’ll replace. 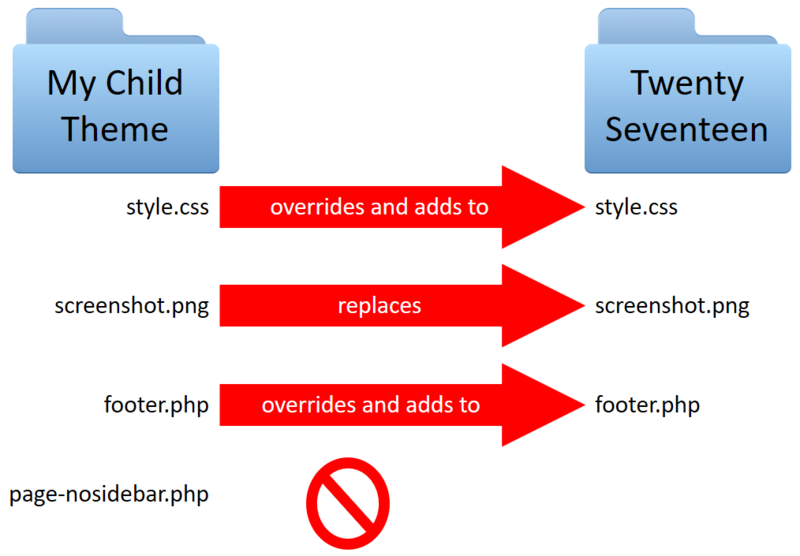 Save a copy of footer.php into the Child Theme folder. You can safely edit this Child Theme file, leaving the original copy of footer.php in wp-content/themes/twentyseventeen intact. 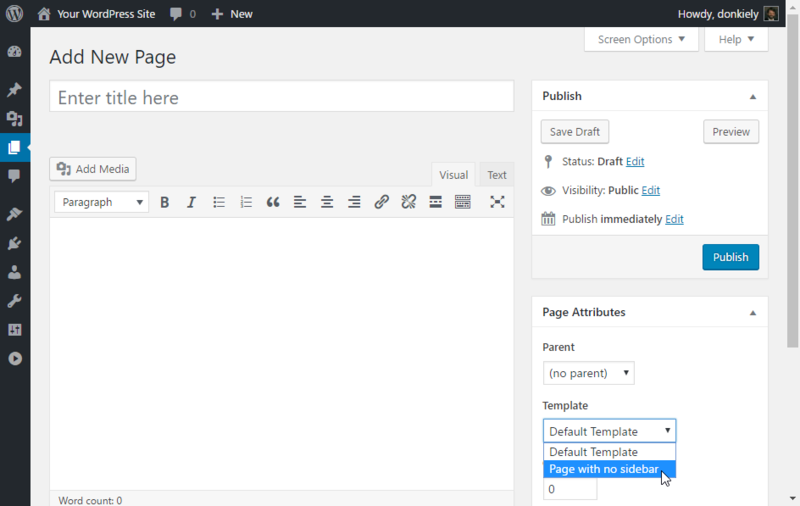 Just like your other Child Theme files, wp-content/themes/mychildtheme/footer.php will override the Parent copy. Let’s say you want to add a new Template without a sidebar. Make a copy of index.php in your Child Theme and rename it index-nosidebar.php. <?php get_sidebar(); ?>  // DELETE this line! <?php get_footer();  // leave this line in!